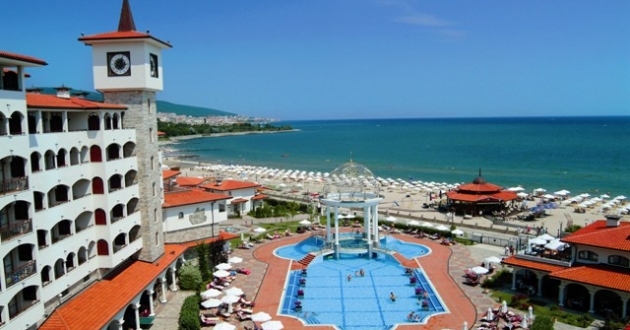 Sunny Beach is the biggest resort at the Bulgarian Black Sea Coast. Situated at 35 km North of Burgas, with magnificent 8 km long beaches. 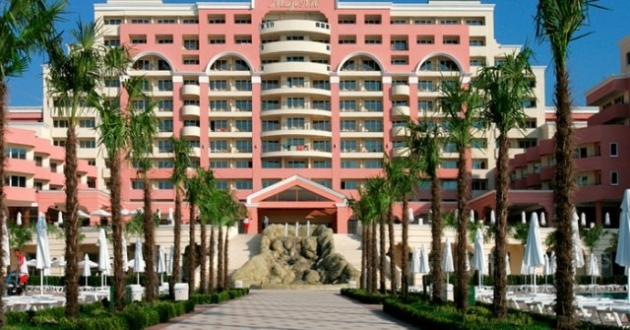 The resort has almost joint with the neighboring villages-resorts of Nessebar and St. Vlas. The establishment of the resort had started in 1958, and for the last 5-6 years Sunny Beach has been actively developed. For extremely short terms incredibly big number of hotels were build, and the old ones had been renovated. Now the resort has more than 150 hotels! Lots of new restaurants, bars, night clubs with show programs were opened, which had brought the fame of the resort as the resort with the richest night life. The newest tendency in Sunny Beach is the building of lots of apartment complexes, which had modified the Western part of the resort. Here is situated also the biggest Mall at the Bulgarian Black Sea - “Royal Garden” with 140 shops in it. The sand of the beaches of Sunny Beach is soft and golden, and the dunes give to the region extremely picturesque view. The sea bottom is with slight incline and is suitable for swimming. Almost all water sports are offered here: surfing, water skiing, parachuting, yachts and etc. The resort has horse base, tennis clubs, bowling, mini-golf, two aqua parks.